Whether it’s for a gala, a conference, a corporate event, or a wedding, we have the ideal equipment to add even more magic to your event! From champagne dresses to popcorn and cotton candy machines, not to mention photo booths and wheels of fortune, we offer a wide range of high-quality equipment to make your event an unforgettable moment. At Momento, we’re masters in the art of combining planning, pleasure, and creativity! Do you want to create a specific atmosphere? We provide you with an extensive catalogue of event equipment, decorations, and accessories that’s constantly evolving and regularly updated. 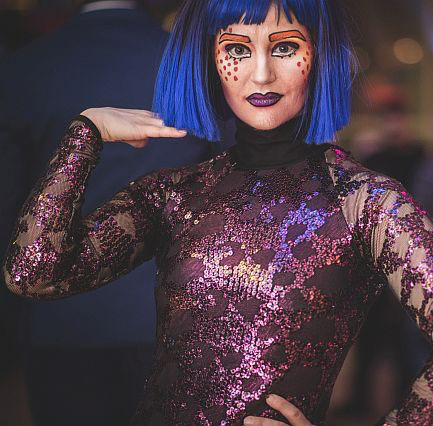 Circus, cabaret, carnival, casino, cinema… We’re the benchmark in creating ambiance! Our team of seasoned hosts will set the tone for your event with dynamism and professionalism! Solo or in a group, our professional hosts are sure to create an even more festive, rhythmic, and interactive ambiance for your guests. Momento makes organizing your event simple and efficient! All Momento event equipment rentals include delivery to the site of your event. At Momento, we want to put stars in your eyes and those of your guests. That’s why we offer professional-quality event equipment, furniture, and accessory rental service that will add magic and style to your event! The roaring ’20s, a masked ball, an ice palace, superheroes, etc. No matter what your theme is, Momento offers you a wide variety of costumed and made-up characters, with the possibility of including hosting service. With our thousand-and-one possibilities, experience an exceptional event where the word “party” will take on its full meaning! Dive into a world bursting with colour! With our makeup and costume rental service, offered with or without hosting, enter an enchanting experience complemented with characters. 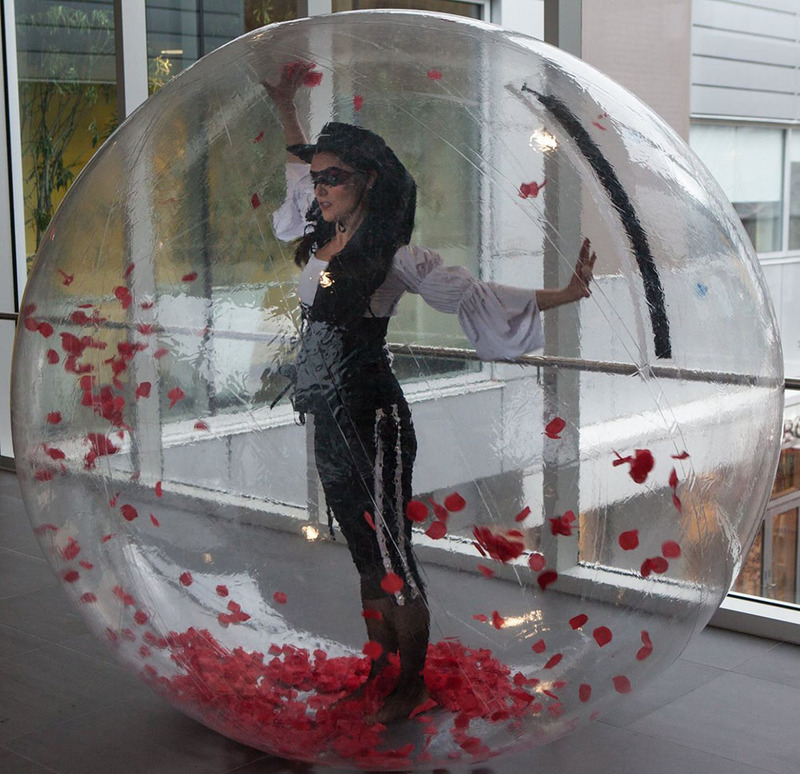 A perfect idea for adding a dose of dynamism and creativity to your corporate or private event! At Momento, we know how to turn a festive gathering into an immersive experience. Thanks to our “show bubbles,” you can see larger-than-life characters come to life and perform striking choreography in a translucent bubble. A unique and original service offered with the option of a team of hosts!